Michigan Support Circle, a division of Immigrant Families Together, is a grassroots organization created to help support the reunification of families by providing rides, housing, clothing and other essentials once the families have been released. We work closely with organizations like Migrant Mother Drivers and Strangers No Longer to ensure the immediate needs of families are met, that they are supported until a long term plan for each family is determined and that they are treated with respect and compassion. We work primarily in Michigan and Ohio but coordinate with organizations in other states to help reconnect and support families. We are asking for funding to support Leydi and her daughter. They left Central America with hopes to seek asylum in the United States. 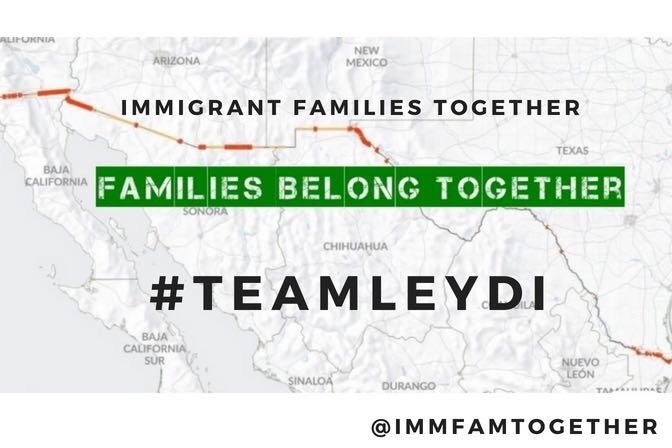 Leydi and her daughter were separated when they crossed the border. Recently reunited and connected to family in Michigan, they need our support. To comply with laws, Leydi is unable to work and, therefore, provide essentials for her daughter so we are asking for your help. Funds raised will provide food, clothing, transportation, medical costs, housing costs, court fees and other costs associated with supporting a family. Any funds raised beyond the goal will be used to reunite and support other families affected by immigration policies of the current administration. We are mainly from Michigan and Ohio but have supporters from across the United States. Funds raised will provide food, clothing, transportation, medical costs, housing costs, court fees and other costs associated with supporting a family. We are not related to this family by blood. We are a community of concerned parents and citizens who don't support the current separation policy and want to do our part to help support a family that separated and seeking asylum. cell-phone, and other expenses the family may incur, including but not limited to costs of preparing for court appearances (copies of documents, etc).